Ben’s career extends over 25 years, spanning banking, FMCG and property management, always with technology at the core. Ben has worked in London, Hong Kong and Australia, supporting technology in Asia for the last 15 years. 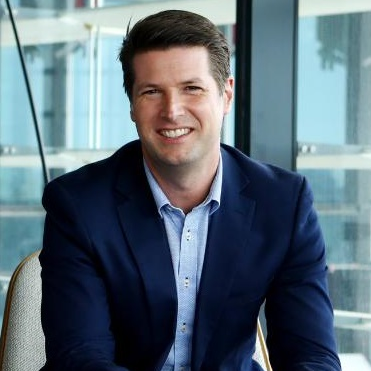 In his current role, he focuses on delivery of strategic digital capability and enabling innovation for the bank, including driving the corporate partnership with Stone & Chalk, Australia's leading FinTech focused innovation hub. Ben’s passion for efficient and effective use of technology has always put good process design at the heart of creating commercial value from technology.